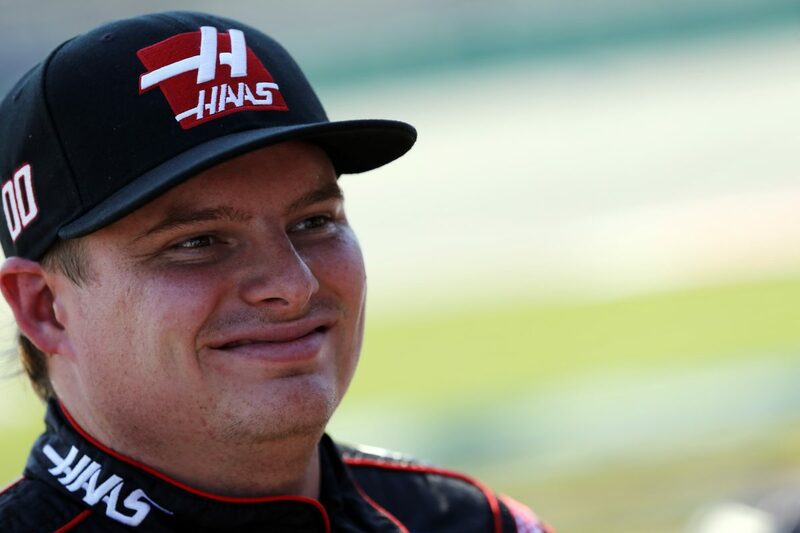 The U.S. Cellular 250 presented by the Rasmussen Group will mark Cole Custer’s fourth career NASCAR Xfinity Series start at Iowa Speedway in Newton. Custer’s four pole awards this season is most among all Xfinity Series regulars. While the S. Cellular 250 will be Custer’s fourth Xfinity Series start at the .875-mile oval, it will be his 11th overall start there. Custer also has three NASCAR Camping World Truck Series starts and four NASCAR K&N Pro Series starts at Iowa. Custer scored his first career Pro Series victory Aug. 2, 2013 at Iowa from the pole. At 15 years, six months and 10 days, he became the youngest winner in Pro Series history. In addition to breaking Dylan Kwasniewski’s record for youngest race winner by nearly six months, Custer also became the first driver to lead every lap (150) in the combination East/West race. Custer has earned a win, a pole, six top-five finishes, eight top-10s and has led 243 laps in his 10 career starts at Iowa. Custer’s best finish in the 18 Xfinity Series races run this season is second, earned in the 11th event May 26 at Charlotte (N.C.) Motor Speedway. Custer has earned four poles, seven top-five finishes, 14 top-10s, and has led 128 laps in the 2018 Xfinity Series season. Custer has qualified inside the top-five at seven of the last eight races this season. He has earned 13 top-five starts and 14 top-10 starts in the 2018 Xfinity Series season. In 56 Xfinity Series starts, 42 Camping World Truck Series starts and 29 K&N Pro Series starts since 2015, Custer has five wins, eight poles, 16 top-five finishes, 32 top-10s and 969 laps led at tracks currently on the NASCAR circuit that are approximately a mile in length or shorter. Custer is the only full-time Xfinity Series driver to earn top-five finishes in each of his last two starts at Iowa. Custer is fourth in the Xfinity Series driver standings, 13 points behind series leader Daniel Hemric. Last weekend at New Hampshire Motor Speedway in Loudon, Custer raced as high as second place and earned his 14th top-10 of the 2018 Xfinity Series season. No Monster Energy NASCAR Cup Series drivers are entered in the U.S. Cellular 250. With one last shot at Iowa this season and no Monster Energy NASCAR Cup Series driver entered, do you feel this is your race to take home the win? What was it like to get your first win and pole at Iowa Speedway then leading all 150 laps to become the youngest winner in Pro Series history? Does Cole’s previous success at Iowa transfer over to the success in the Xfinity Series?